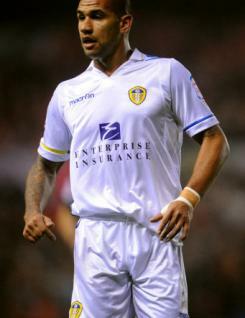 Patrick Kisnorbo is an experienced central defender who joined Leeds United from Leicester City in the summer of 2009. A regular in the Whites? back line for much of the 2009-10 campaign, he showed tremendous form until being sidelined by an achilles injury in March. This led to a lengthy lay-off and it was not until the final match of 2010-11 that he returned to first-team football, coming off the bench during the 2-1 win over champions Queen?s Park Rangers. Patrick began his senior career in Australia with South Melbourne, then played in the SPL for Hearts before joining Leicester City in July 2005. He is a full international for Australia.